A teenage superhero team who dream of Hollywood stardom match wits against a supervillian intent on destroying the world. 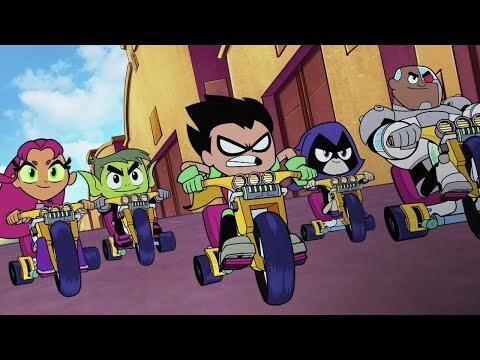 Anyone familiar with the Teen Titans Go TV show is aware of the wacky and zany adventures that frequently slide into sly self-deprecation and meta references. The movie kicks that into overdrive. The surprisingly intelligent script combines flatulence jokes for the kids and adult jokes about comics (both DC and Marvel universes) and moviemaking that parents will laugh along too. I chuckled a lot. 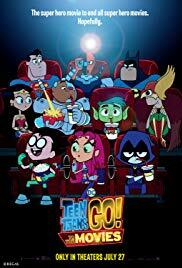 Well-layered and constructed, the movie gets a bit loud and obviously focuses a touch more on the younger audience as its main demographic, however if you like superheroes as an adult then this will a bit of fun for you too.